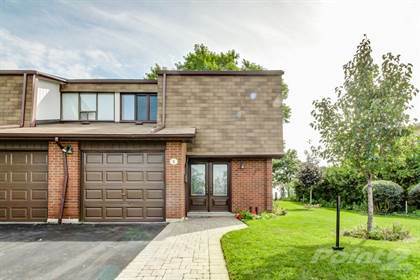 Perfect for first time home buyers or investors, this end unit condo-townhome is located in a well-maintained, family friendly complex. Being an end unit, you get lots of extra space on the side for your children or grandchildren to play. The home comes with three bedrooms, three bathrooms and lots of storage space in the finished basement. There are hardwood floors on the main and second floors, with laminate in the basement. No carpet anywhere! This is truly a home that you must see without delay! Hi, I'd like to find out more information about 600 Silver Creek Blvd. Thanks so much!